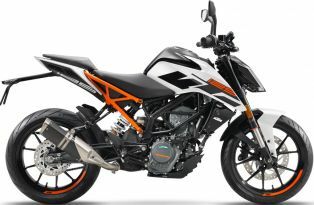 The KTM Duke 125 is the least capacity motorcycle produced by the Austrian company in collaboration with its Indian subsidiary- Bajaj Auto Ltd. The 125cc short stroke engine of the Duke 125 makes this beauty a pocket rocket. Design wise the bike is absolutely similar to its elder siblings viz; Duke 390 and 250 in India. Taking the design ques from the mighty Super Duke the baby Duke is also a head-turner. 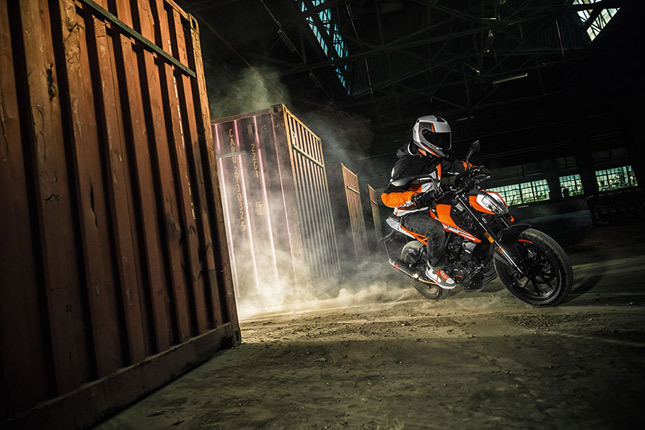 There is no other 125 cc bike which can match the looks and ferocity of Duke 125. It is probably the best looking 125 cc in the market and it deserves to be called so. 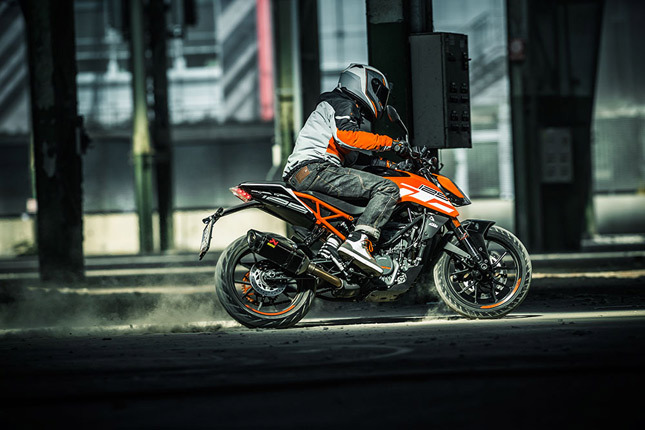 The radical design of the motorcycle is carried over from the super duke 1290 and it speaks volume about the nature of the bike. 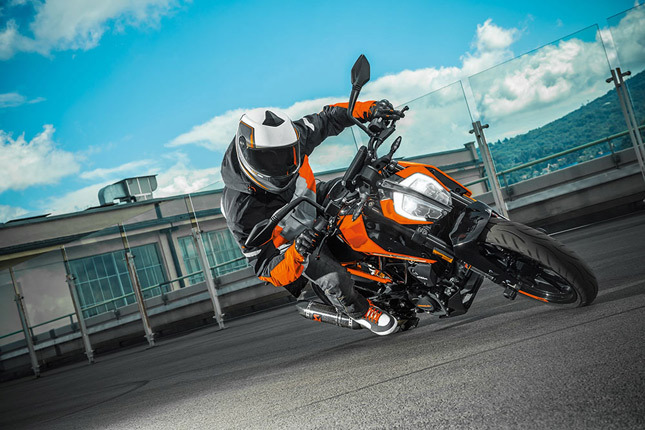 Among all things which Duke 125 is, its availability in India is not one of them. It is available in Bangladesh due to some reason. Anyways, let’s take a look at this bike in detail and see how much of a “firestarter” it actually is. 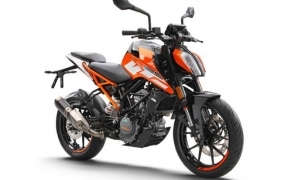 Engine: KTM Duke 125 uses a 124.7 cc liquid cooled single cylinder fuel injected engine. The cylinder head has the same design as the KTM Duke 1290 R, as it has 4-valves over the block which are controlled by dual cams and carbon-coated cam followers for engine longevity. Power produced by the engine is 14.75 BHP @ 9500 RPM and 11.80 NM @ 8000 RPM. The whole setup is paired to a 6-speed super slick gearbox. The responsive low-down torque character is very well maintained by the small engine, it's only in the top end when it starts running out of steam. 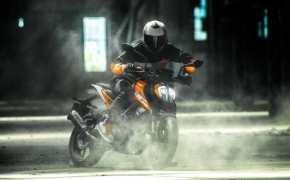 Design and Chassis: Ktm Duke 125 has the best chassis in its segment. The bike uses a steel trellis frame which is just as strong as it’s elder sibling the Duke 390. It also has the same steering angle, wheelbase, seat height, Fuel tank, ground clearance and suspension, as the 390. At the front, we have non-adjustable WP USD suspension and at the rear, we have a 5-step adjustable (For preload) monoshock. The things different in this model are the weight (137 kg for Duke 125) and the Front disc brake (300 mm for Duke 125). The motorcycle stands on a 110 mm and a 150 mm tyre, at the front and back respectively. Electrical and rider aids: Duke 125 offers a 5” colour TFT screen which has a ton of information. The interface allows you to connect your smartphone to the onboard computer, so you can pick up calls without leaving your hands from the throttle. A joystick on the handlebar has also been provided for easy navigation through it. 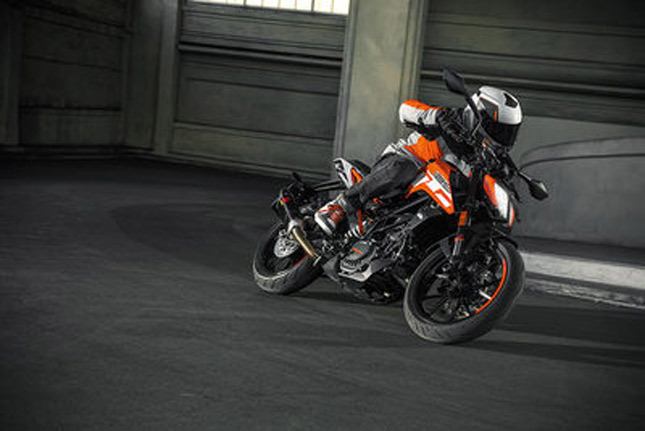 The bike offers ABS and even allows you to put it into the "Super-Moto" mode by turning off the rear brake actuator. This allows you to slide the rear end of your bike and perform drift in the corners. 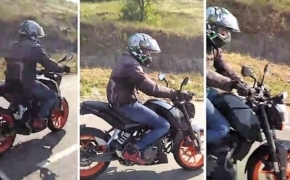 KTM Duke 125 is a great bike, but it is too great for its own good. The kind of design, chassis, and components it offers far exceeds the power it plays around with. It’s like the video game character Kratos at the beginning of every God of War game. He is mighty and capable of commendable feats but he is on a very low level. 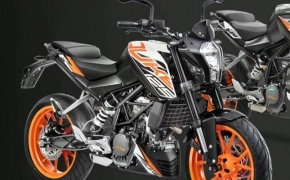 The expected price of KTM Duke 125, if launched in India would be around Rs 1.5 Lakh.